Prince Sverre Magnus of Norway celebrates his 13th birthday today. 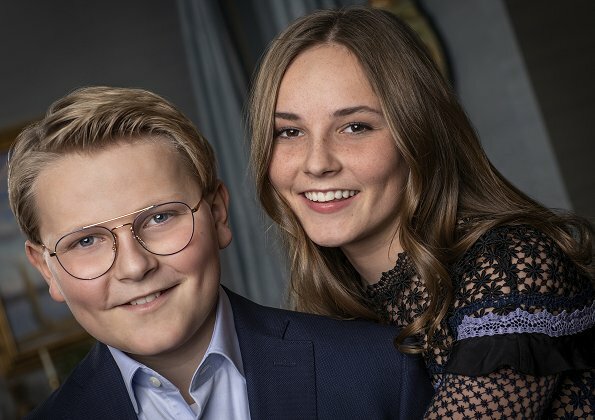 On the occasion of that birthday, the Norwegian Royal Court released a new photo showing together Prince Sverre Magnus and his sister Princess Ingrid Alexandra. Prince Sverre Magnus was born on 3 December 2005 at Rikshospitalet University Hospital in Oslo. The Prince is the Crown Prince couples second child together, and he is number three in the line for the crown after his father Crown Prince Haakon and big sister Princess Ingrid Alexandra. The prince is a student at Oslo Montessori School, where he started in the autumn of 2014. Happy birthday to you, Prince Sverre Magnus of Norway. In this photo, he looks much older than 13. Nice boy in any case, really growing into his looks. And his sister is a real beauty. They don´t look much alike, except for the mouth with that thin upper lip. It makes me feel very old since I have been following European royalty since their parents were children. Yikes! No! Us southern, northern, western and eastern Belles do NOT get "old"! We get "more experienced in life"! Happy birthday to prince Sverre Magnus! A very nice and handsome teenager. In my opinion he resembles his great grandfather, king Olav of Norway. I agree with Vanessa S that he looks older than 13 in this photo. Princess Ingrid Alexandra is a beaty. I know that it is his birthday, but I do admit I look at Ingrid Alexandra - she seems to develop a lot of Charisma. Ninguna duda la princesa mas bella, natural, poco maquillaje, bien peinada, preciosa! He looks like the naughty and loads of fun younger sibling. Ingrid Alexandra is developing quite a presence. Muy feliz cumpleaños Príncipe Sverre Magnus! Happy 13th Birthday to Prince Sverre Magnus. A very handsome young teen.Like his glasses. My husband wears the same style of glasses, must say he has good taste. 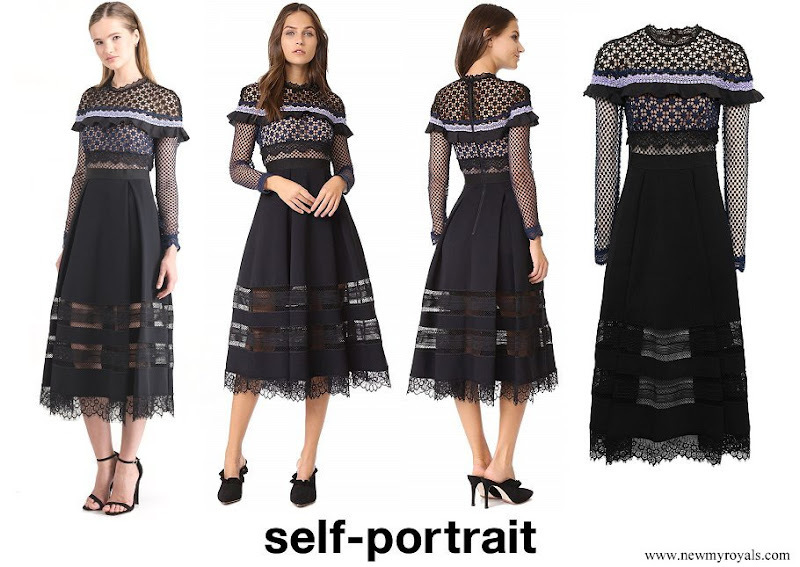 Also love this dress from Pss Ingrid Alexandra. Two beautiful young people. The family must be proud. These two young teenagers look so sweet and handsome. Happy birthday Prince Sverre Magnus. Très belle Alexandre, elle est née le 21 janvier 2004, fêtera ses 15 ans en janvier 2019. Yes, and in about 3 years from now she will have her debut with sash/ribbon and her first tiara (hopefully the diamond tiara after her great grandmother Queen Maud!). On this photo, Princess Ingrid Alexandra takes center stage with her classic beauty face. She has a very warm smile. Ingrid is a beauty. I always thought she resembled her father, Prince Haakon, but in this photo you can see her grandmother Queen Sonia in her, especially the eyes.